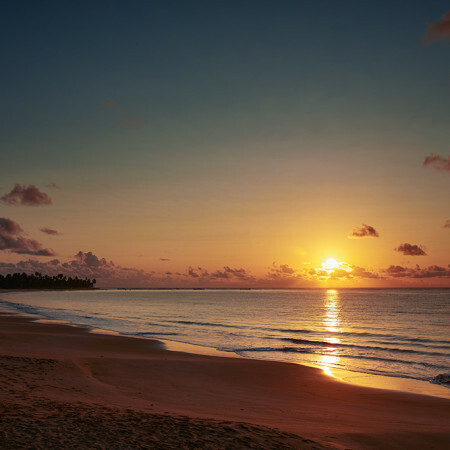 Brazil is confirmed as an economic power on the rise, after strong growth in the last 10 years and despite the slowdown in recent months. 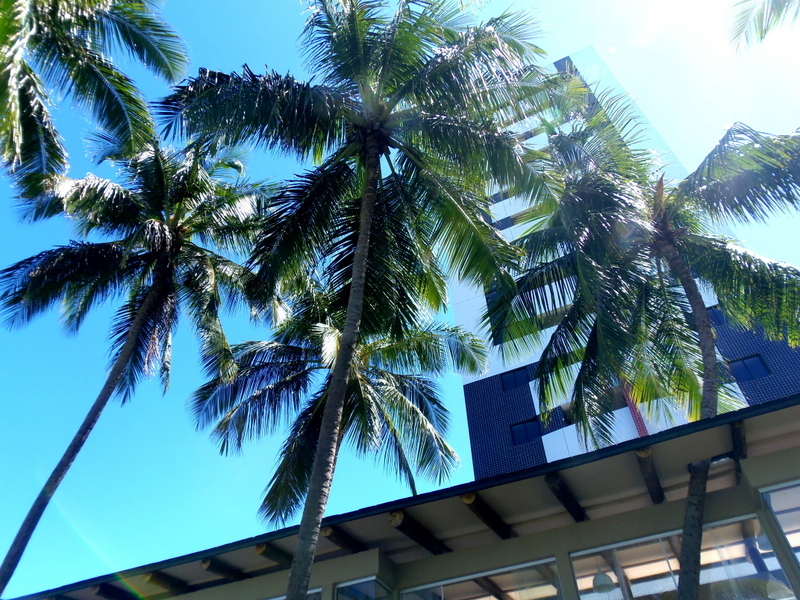 Small public debt and reassuring international reserves, strengthening confidence towards investment. 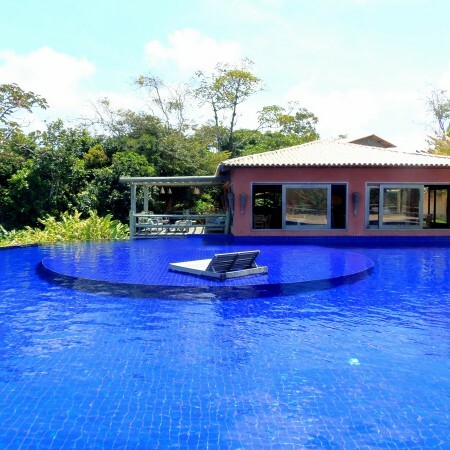 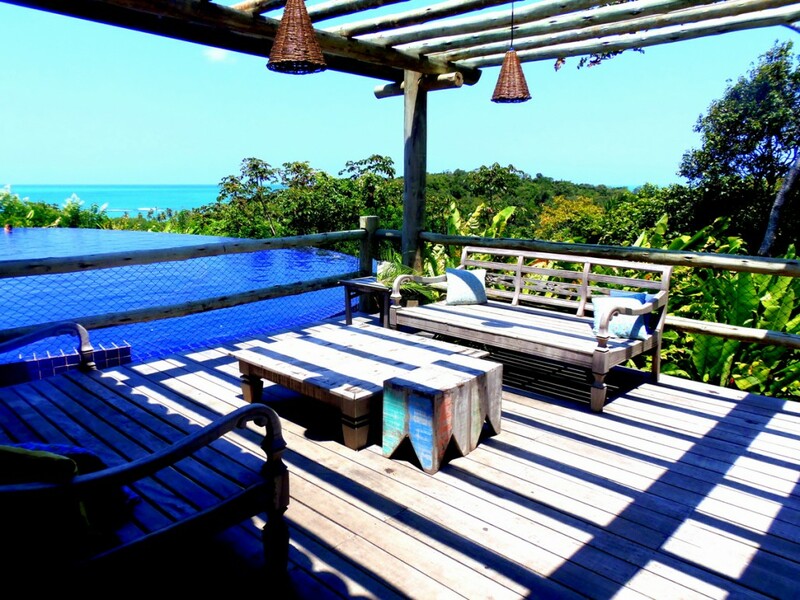 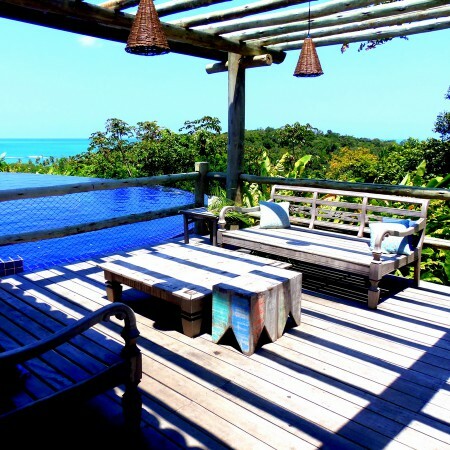 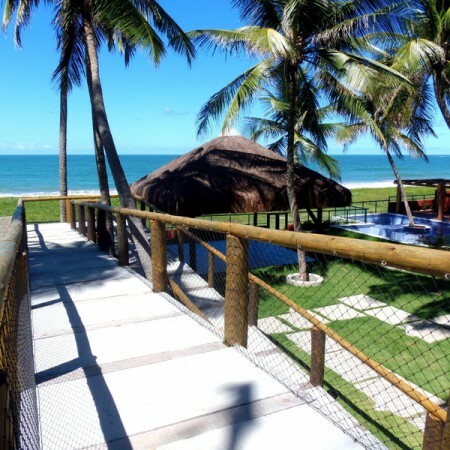 A high concentration of investments by tour operators and national and international real estate investors, can be found primarily in the “Nordeste” (Northeast), the region among the most desirable and growth in recent years. 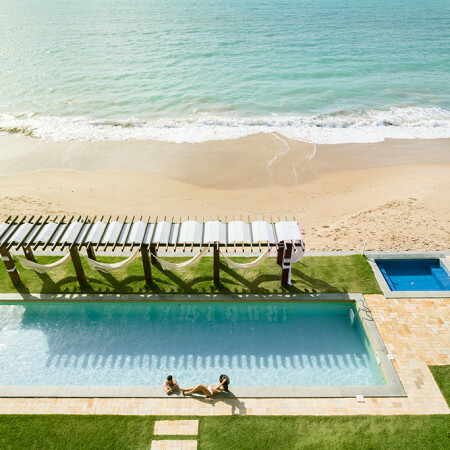 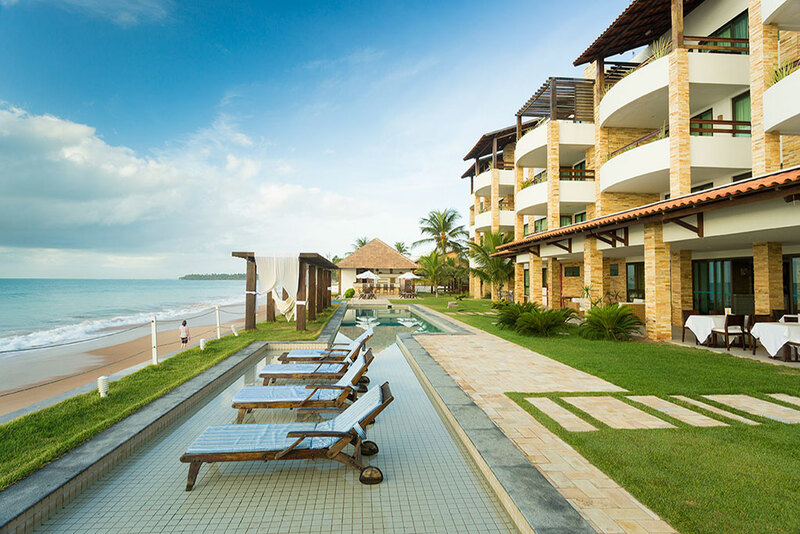 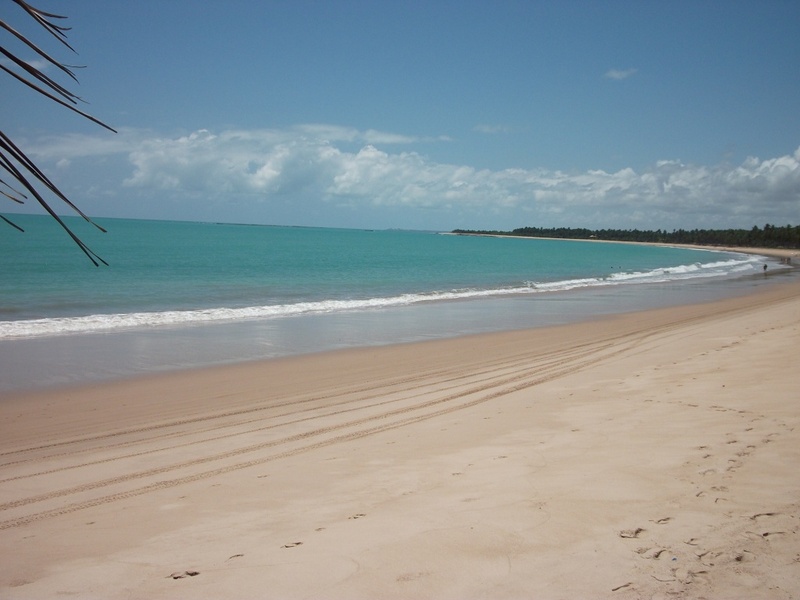 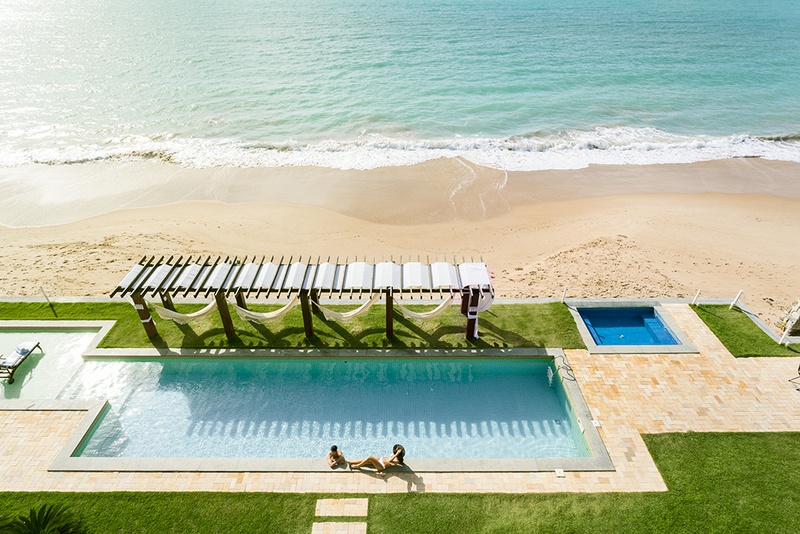 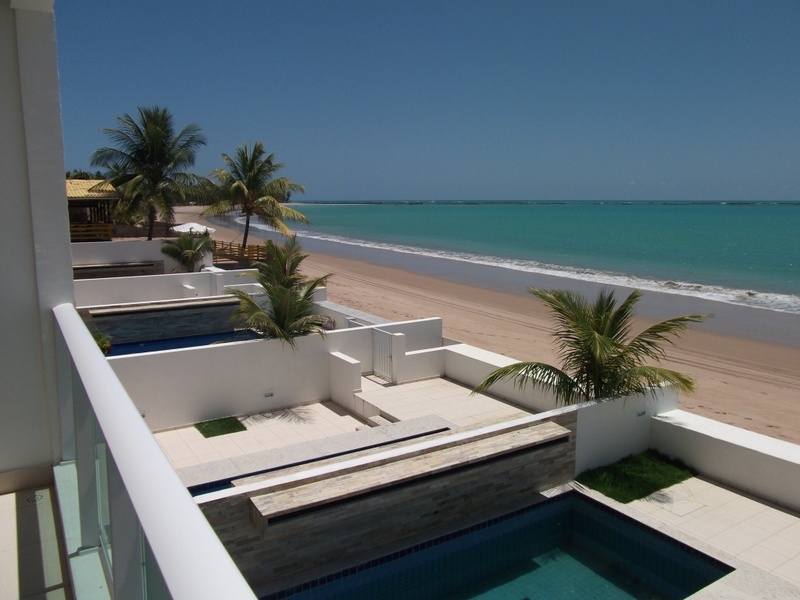 For over 10 years Havengrid Group focuses its projects in Maceio, Alagoas, where beaches, sea and a perfect climate (26/28 degrees and 300 days of sunshine per year), making it the ideal place to invest and for their holidays. 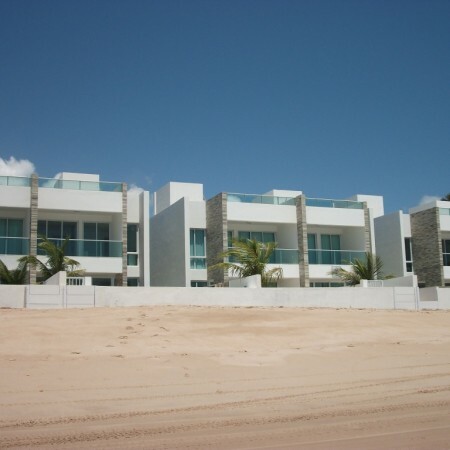 Exclusive real estate opportunities, for locations and services. 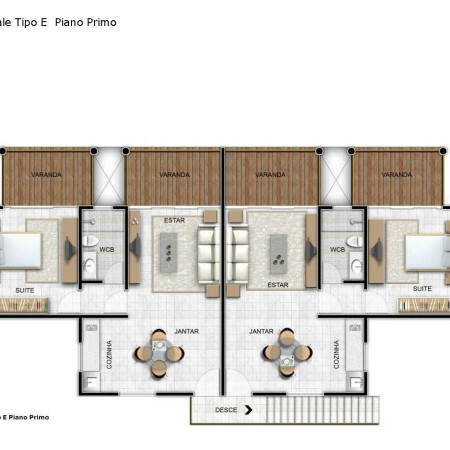 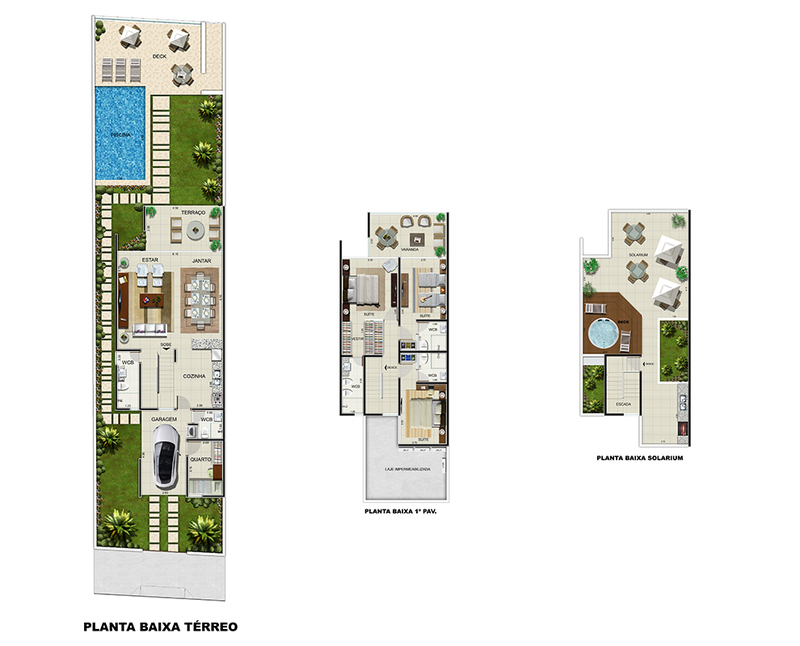 Apartments from 54 m2 to 99 m2 (580 to 1,065 square feet), Penthouses from 138 m2 to 156 m2 (1,485 to 1,680 square feet). 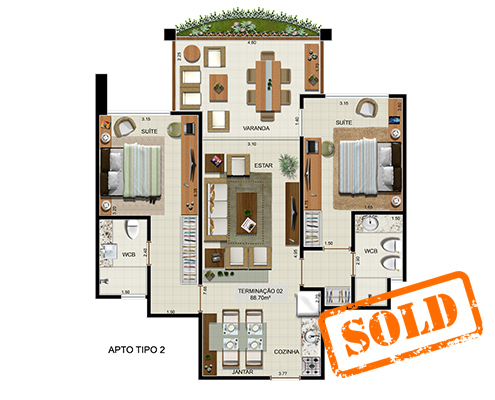 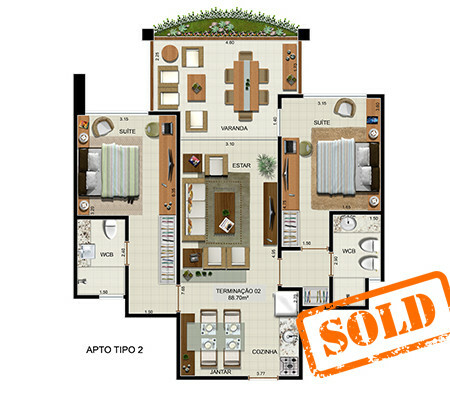 All units are sold fully furnished, with air conditioning. 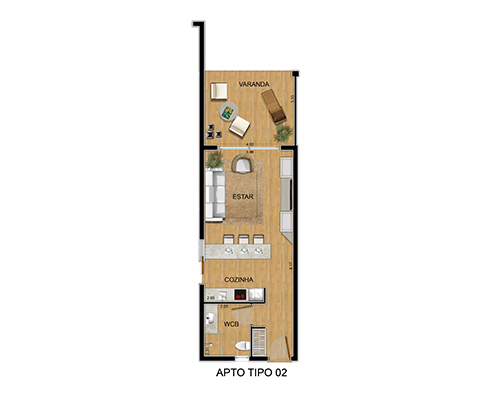 The property unit will be equipped with basic automated application (home automation), with high quality finishing and Italian design. 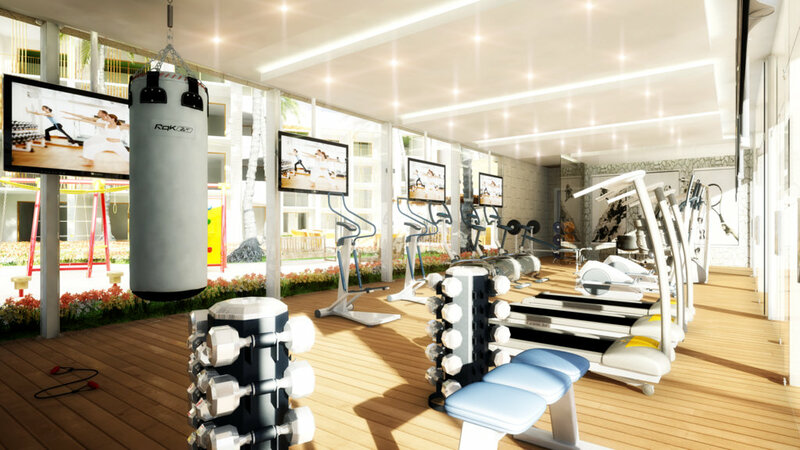 The common area will be including pool, gym, children’s playground, bar, sports court and a video surveillance system 24/24. 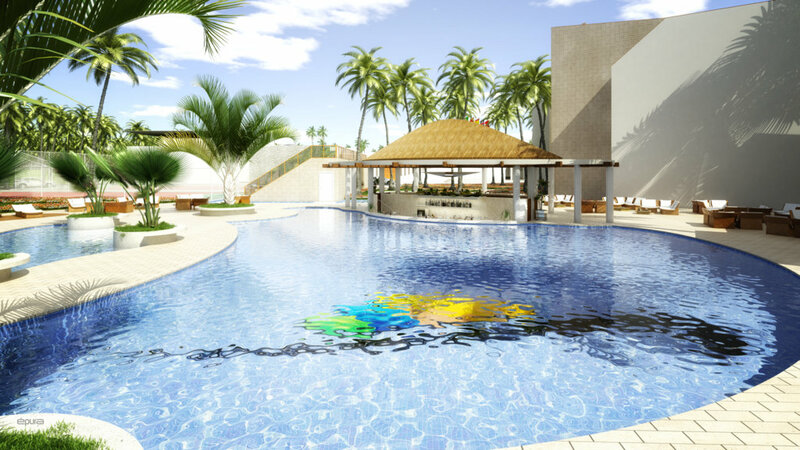 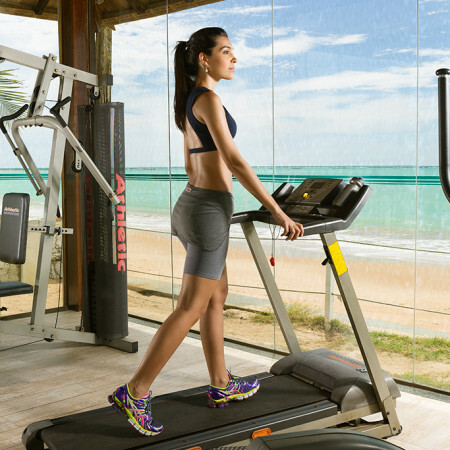 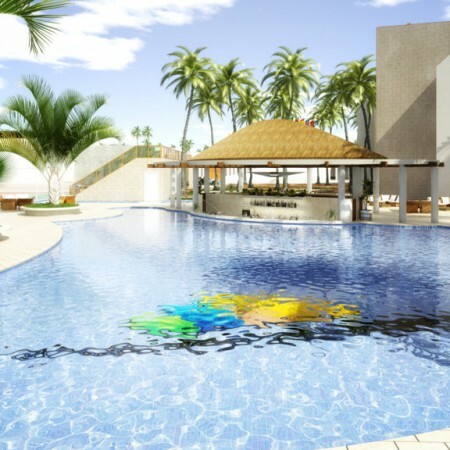 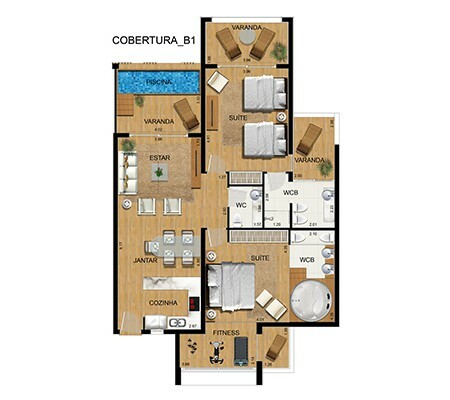 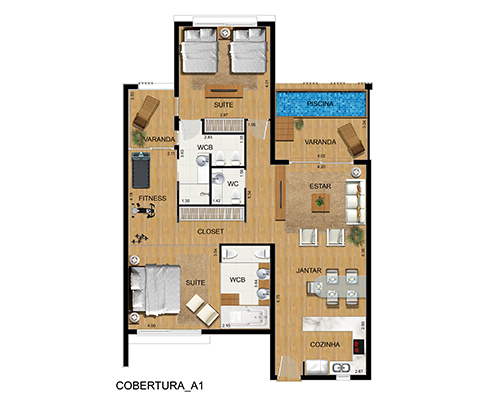 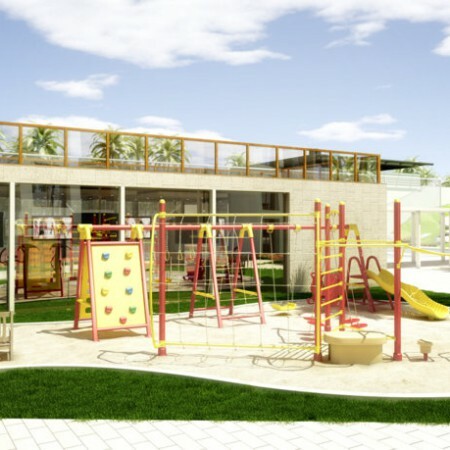 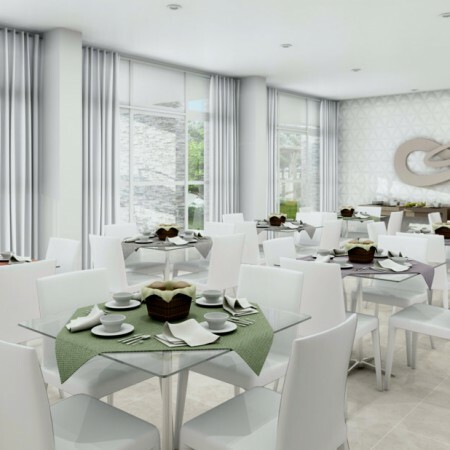 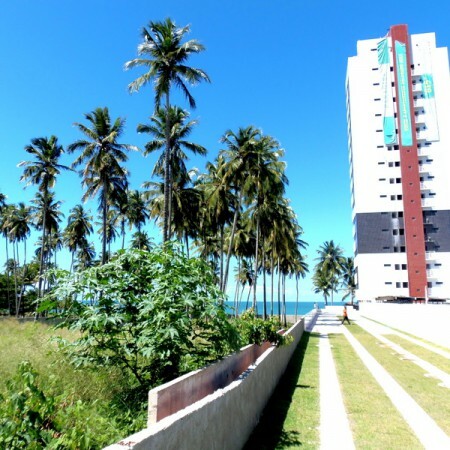 It will be the first and only Apart – Hotel located in an high luxury complex in the north coast of Macéio, capital of Alagoas, a fast growing city with the most beautiful beaches on the coast. 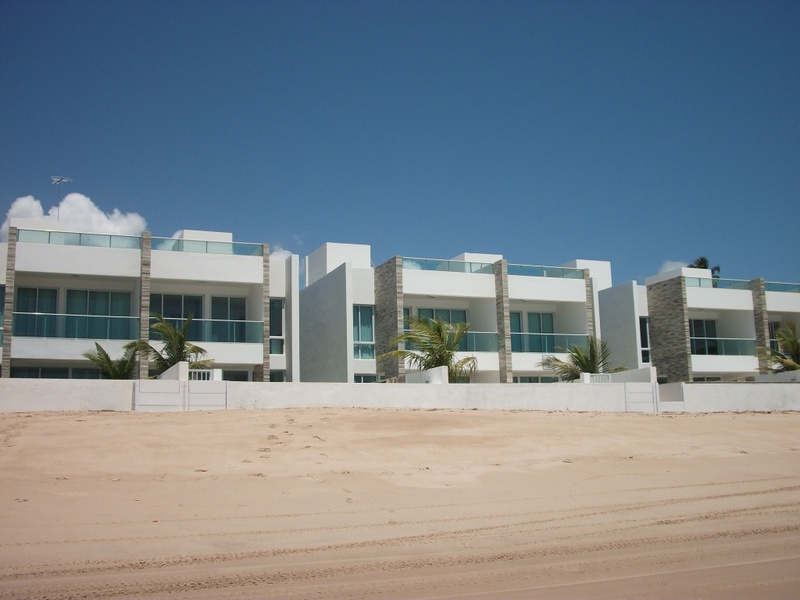 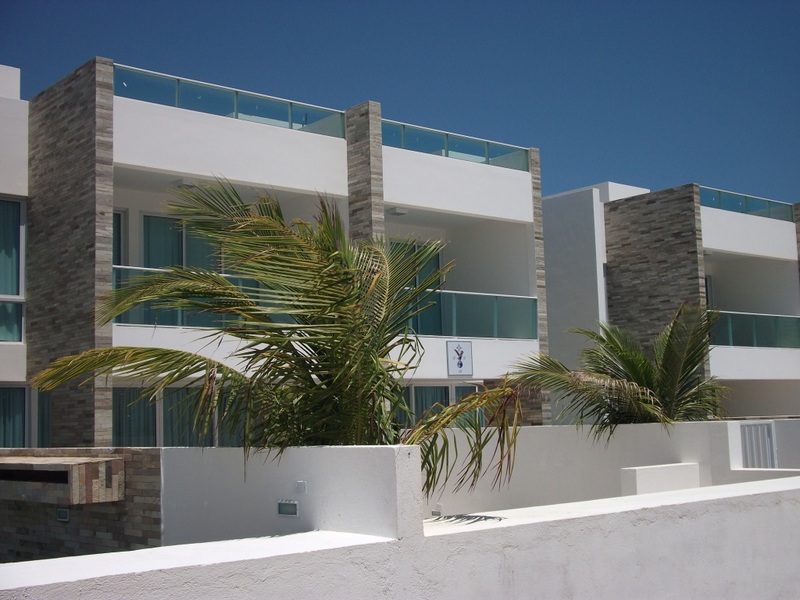 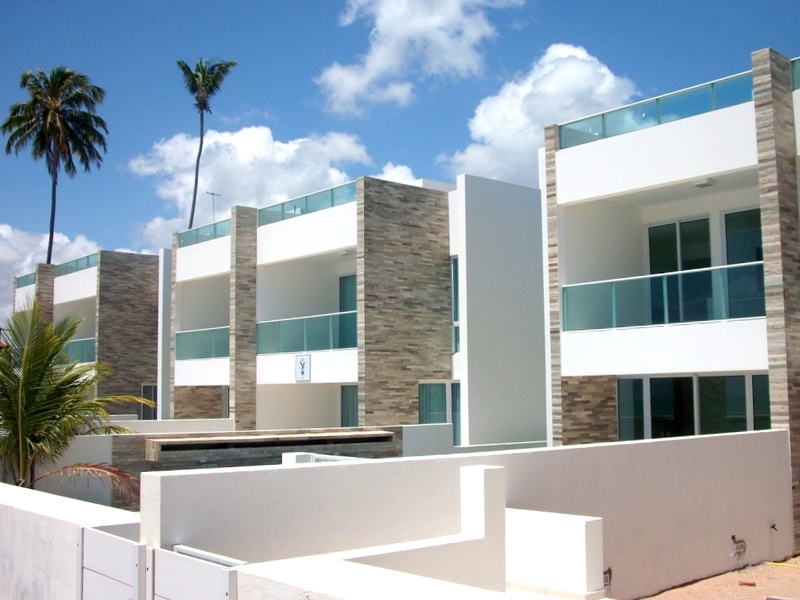 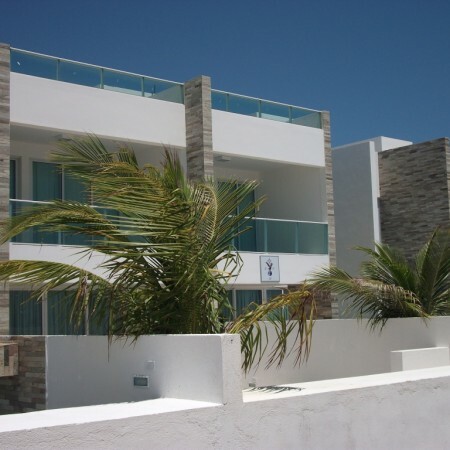 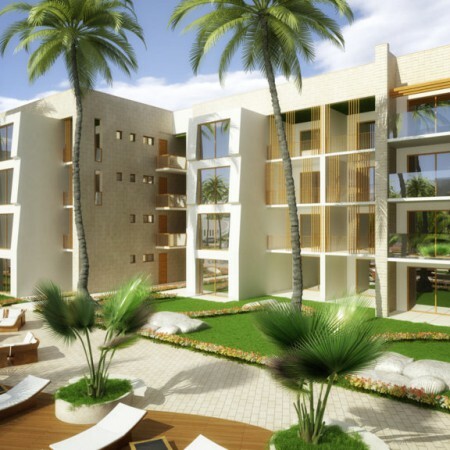 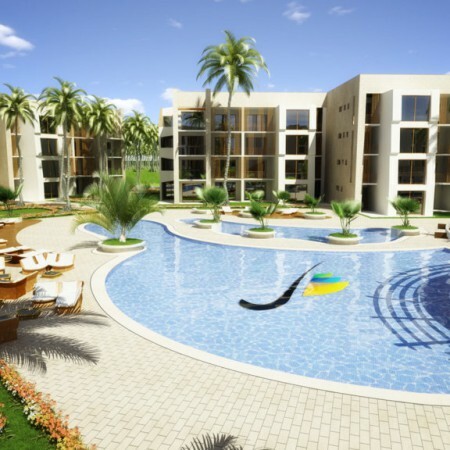 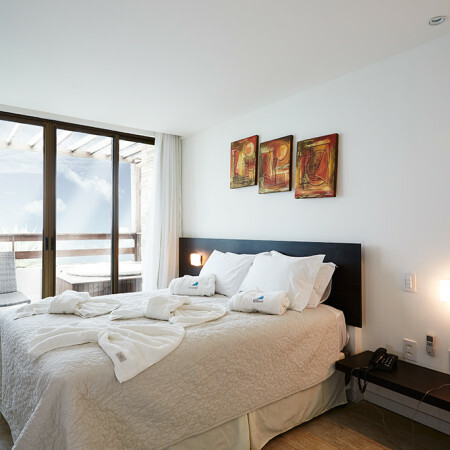 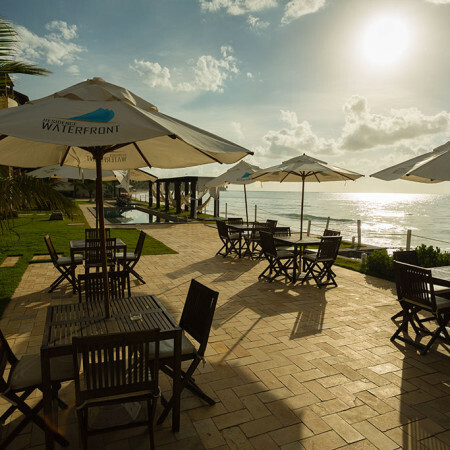 The complex includes 26 apartments, ranging from 87 m2 to 137 m2 (936 to 1,475 square feet), all on the beach front, and fully furnished and equipped to the highest standard. 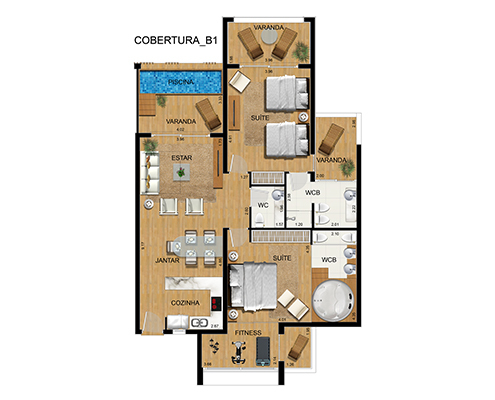 Communal amenities are included, such as: reception service, restaurant, health center, family pool, jacuzzi, beach service, bar, and parking lot. 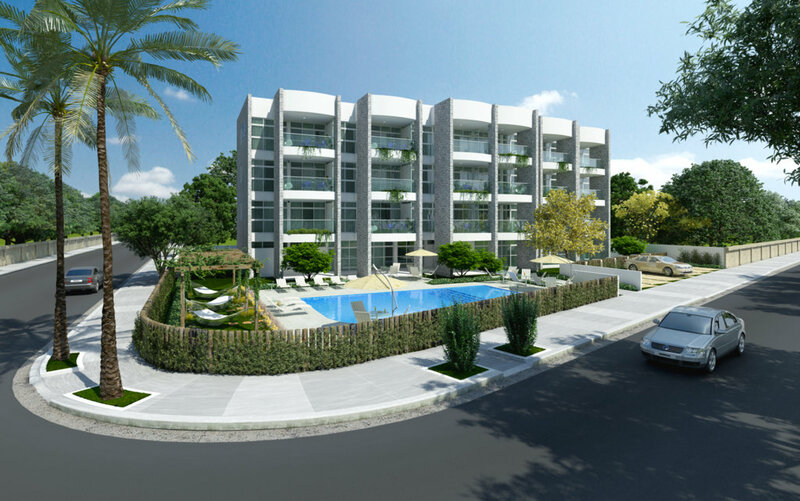 After the success and positive reception enjoyed by Residence Waterfront 1, we offer the next phase of the project as an exciting, and safe investment opportunity that is appealing whatever way you look at it. 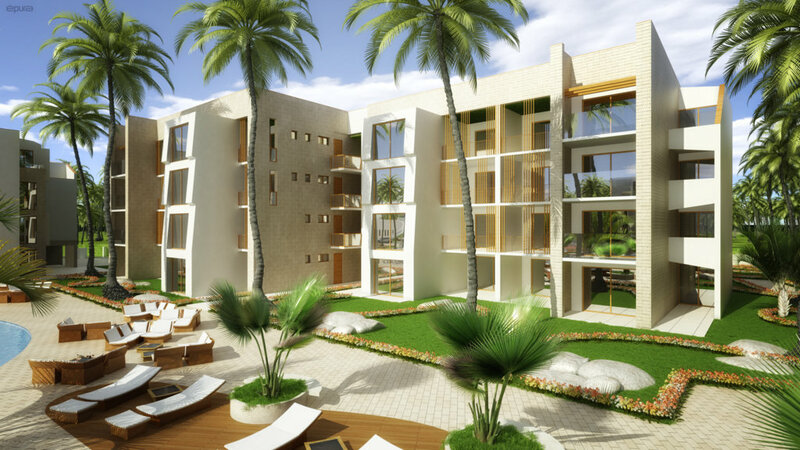 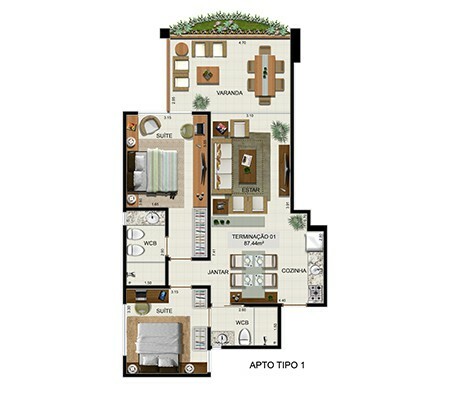 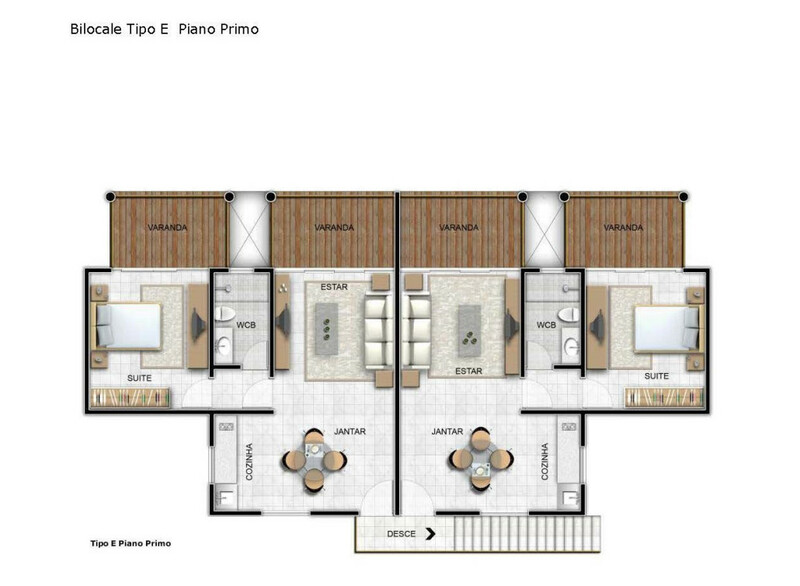 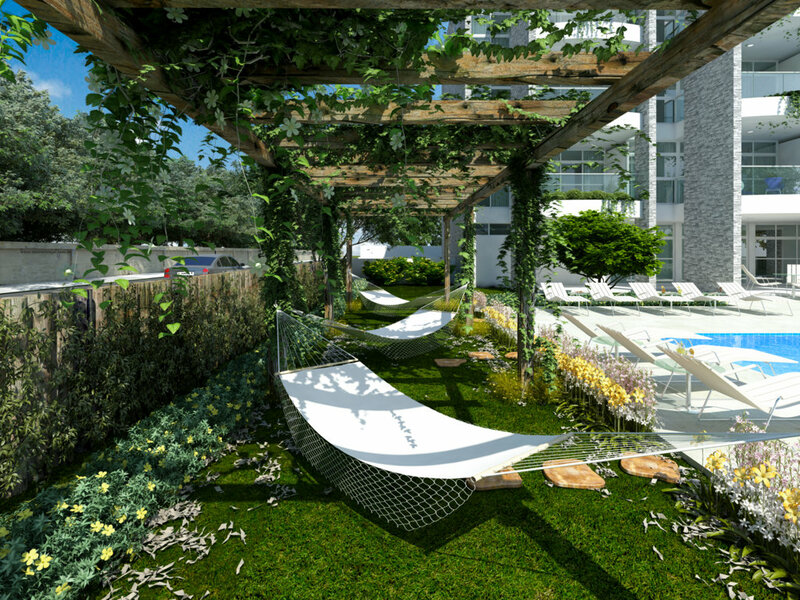 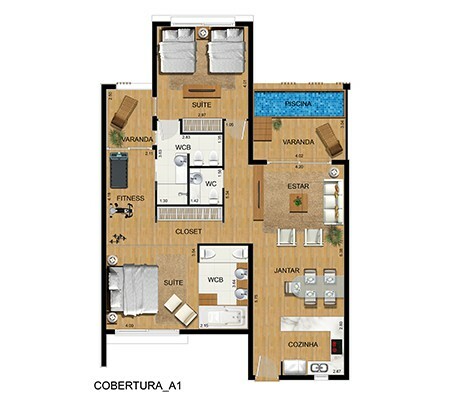 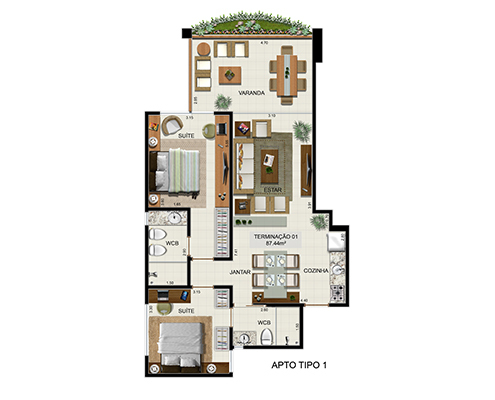 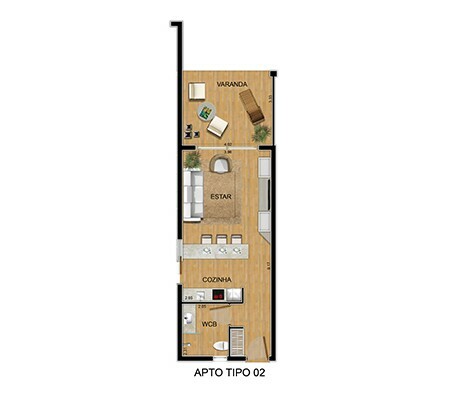 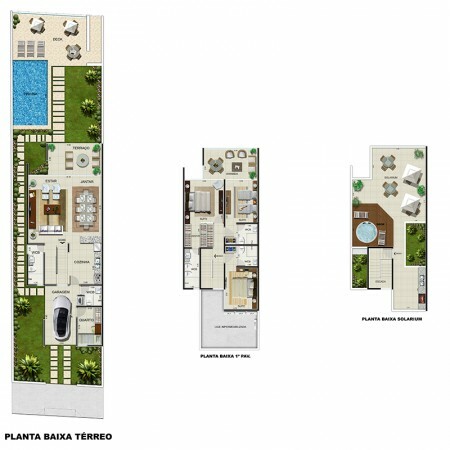 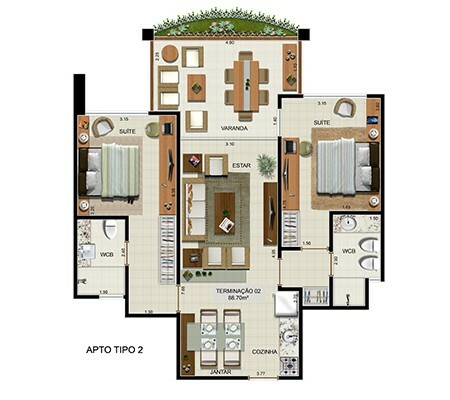 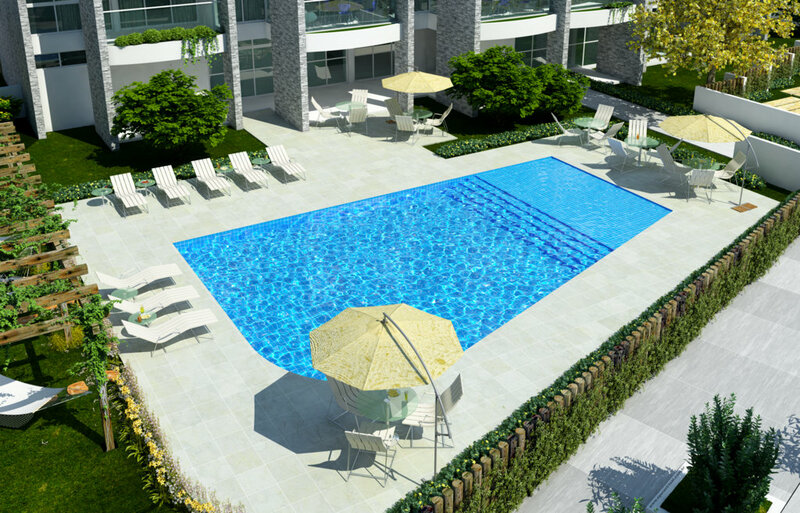 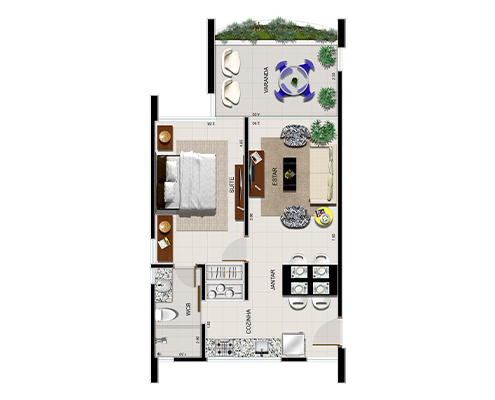 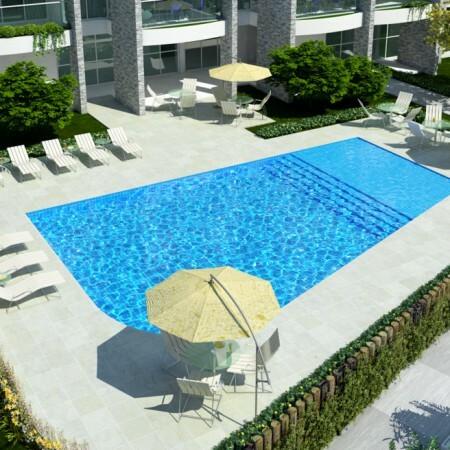 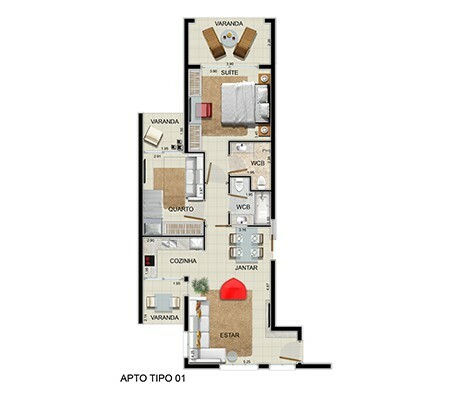 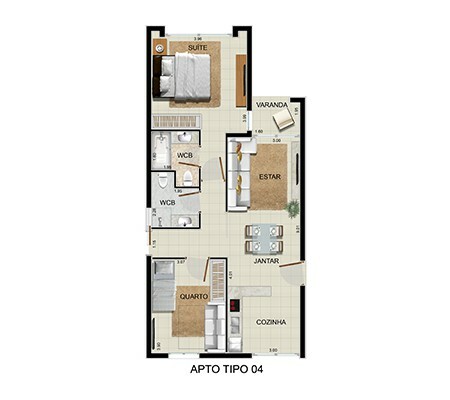 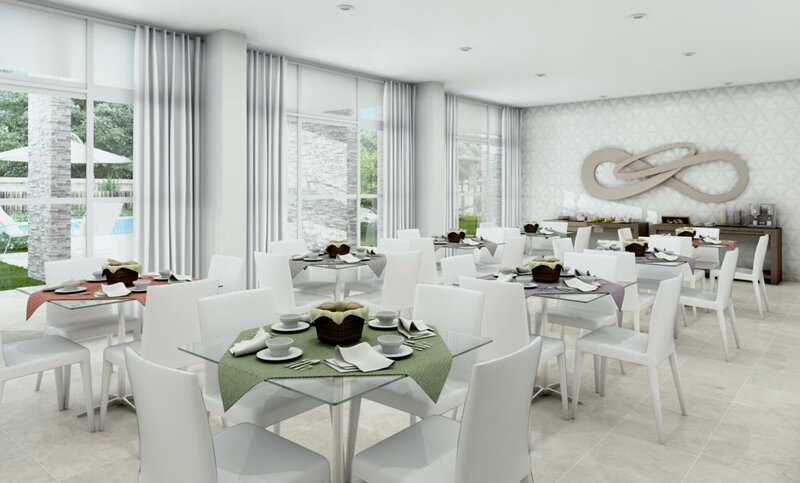 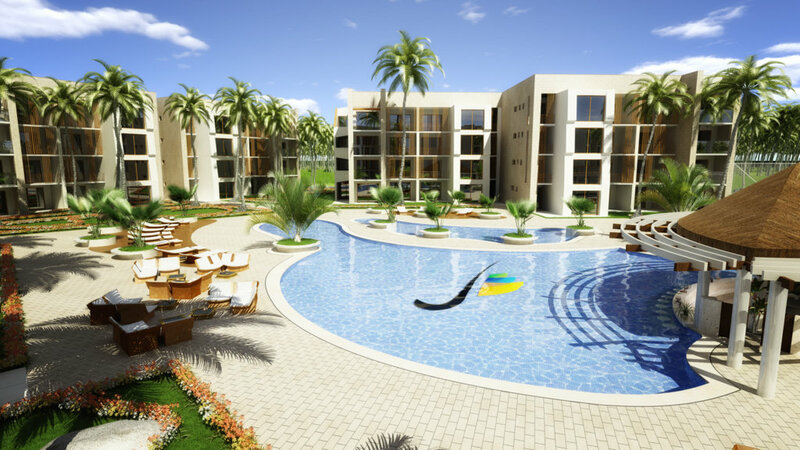 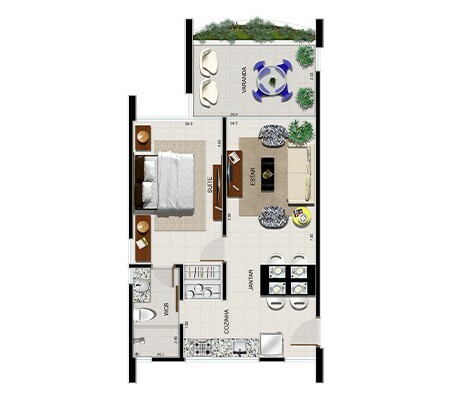 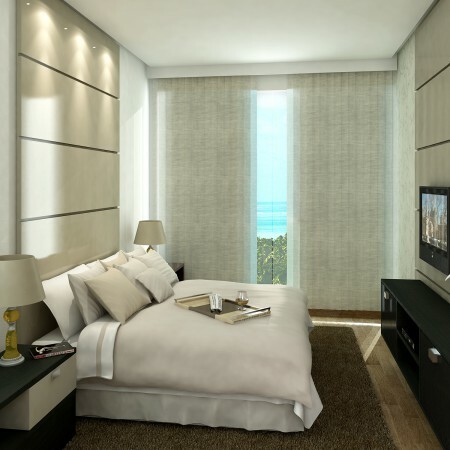 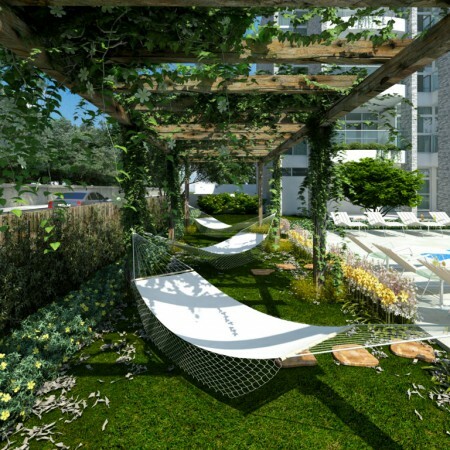 It will be composed of 20 apartments of around 60 m2 (645 square feet), each fully furnished and fully equipped. 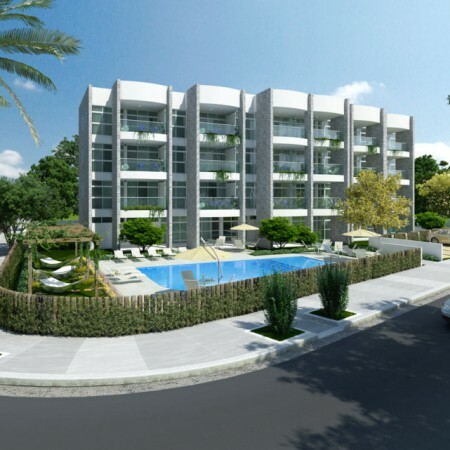 Currently under construction, it is located just a few yards from the sea, on the same street as the first part of the complex. 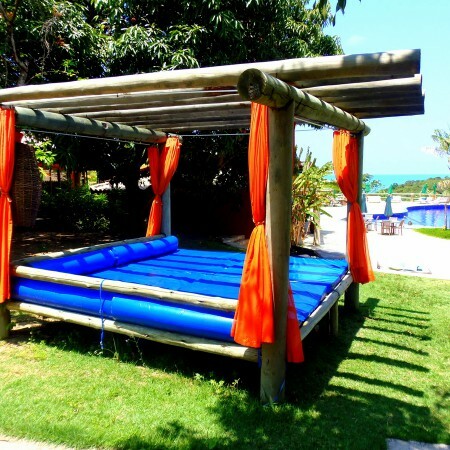 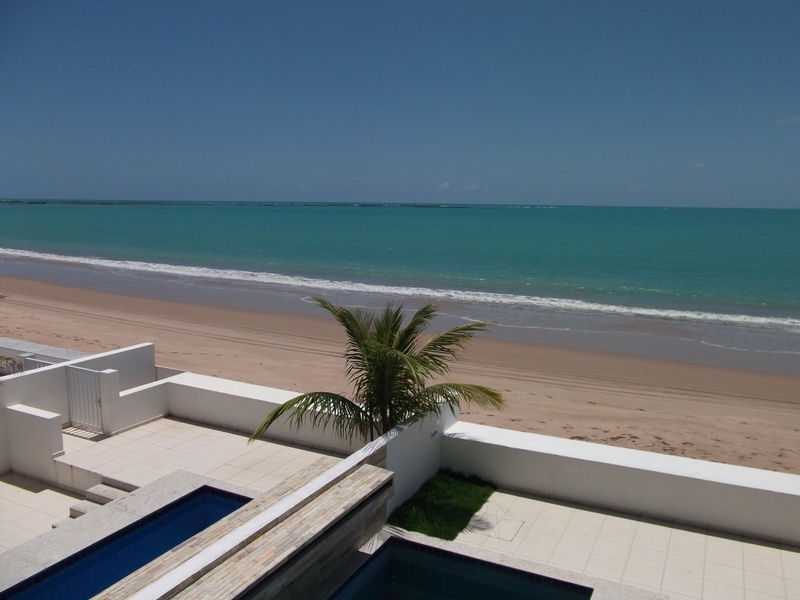 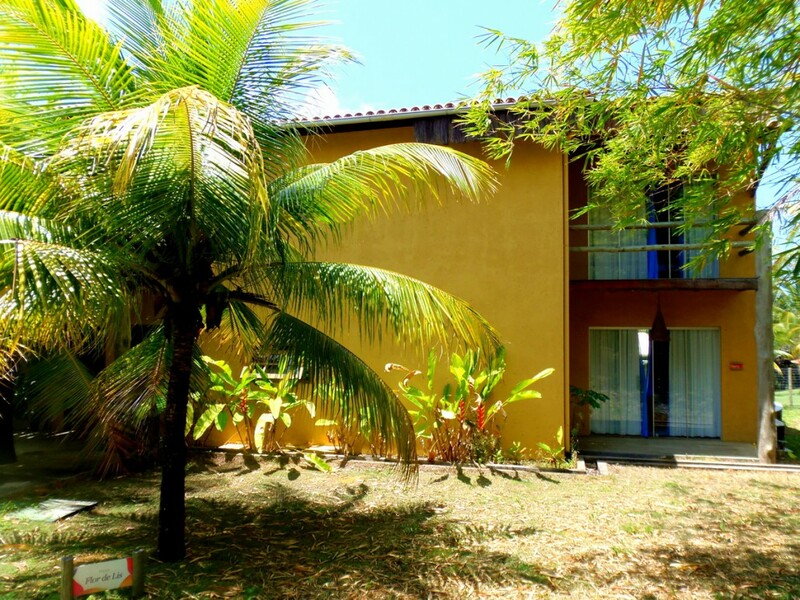 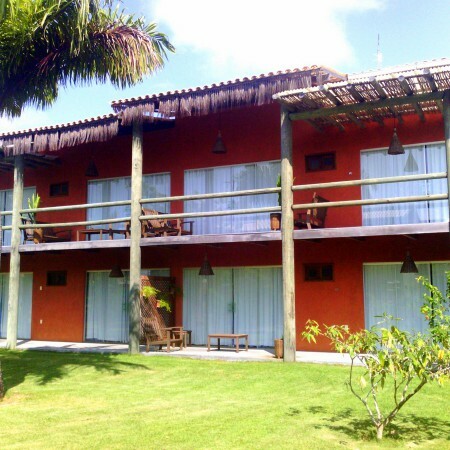 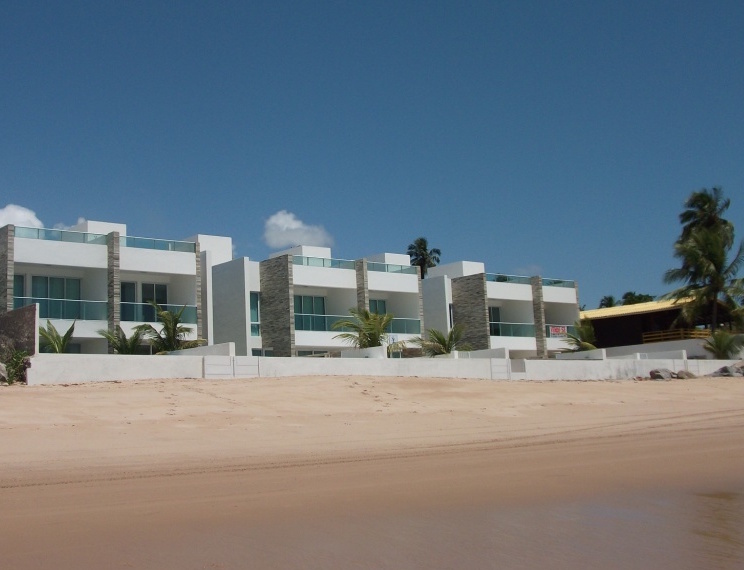 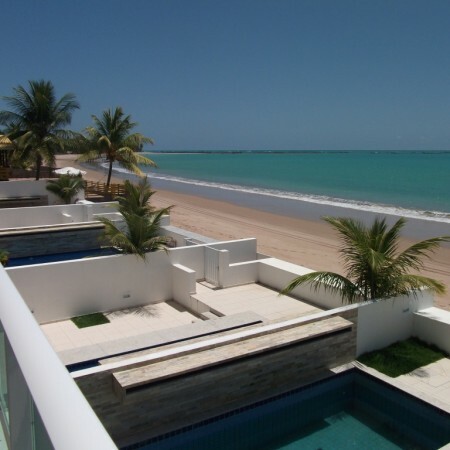 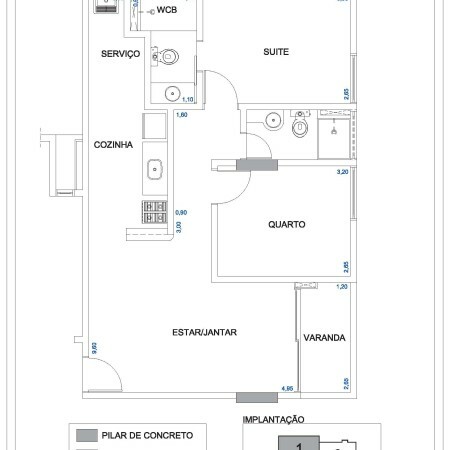 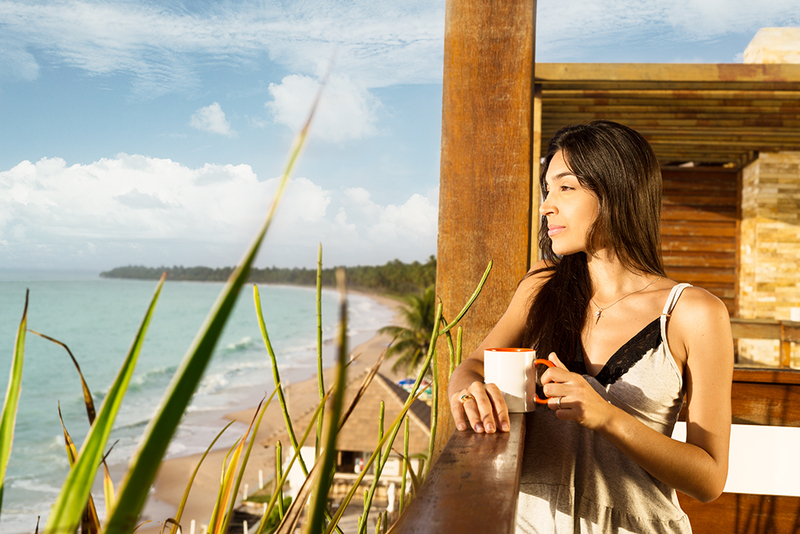 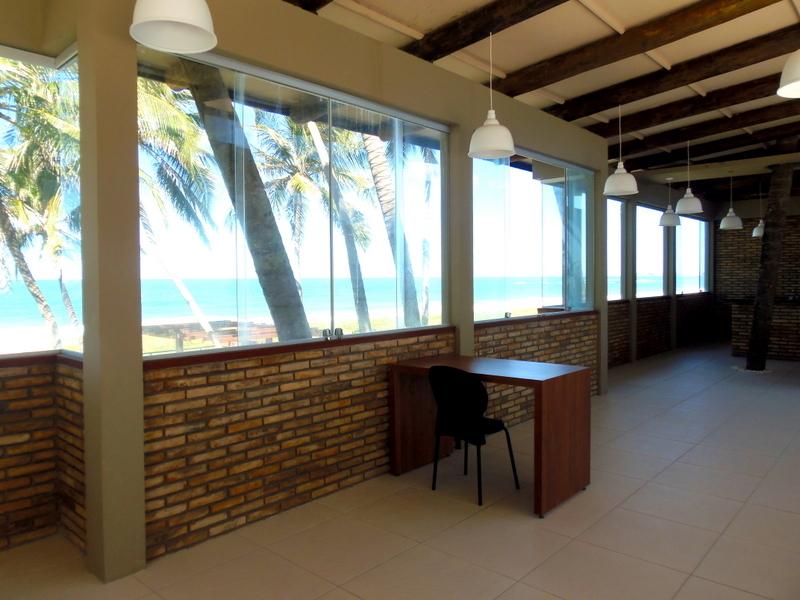 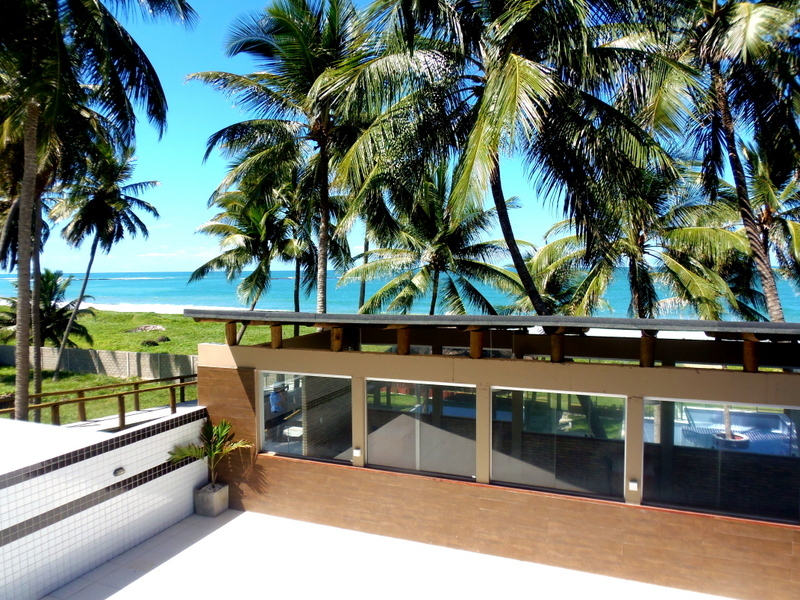 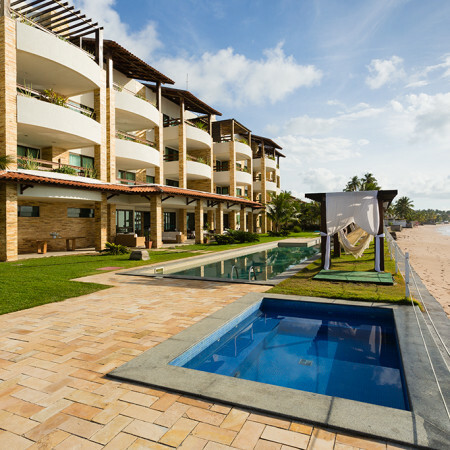 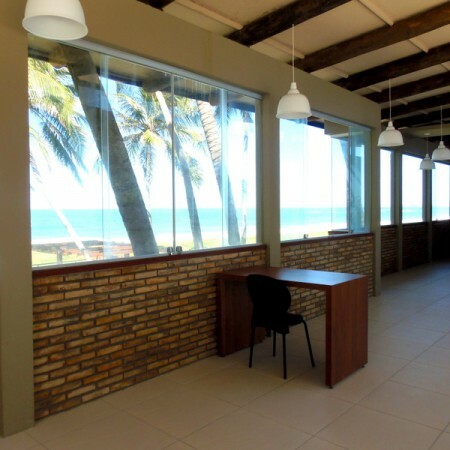 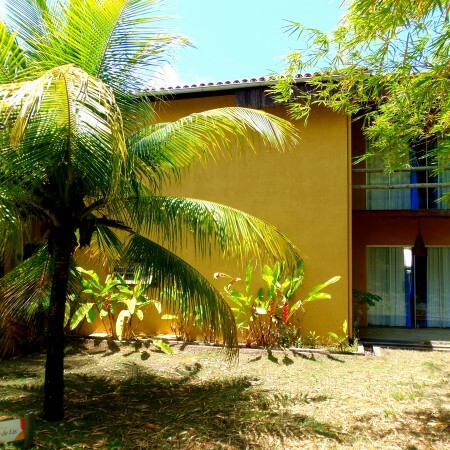 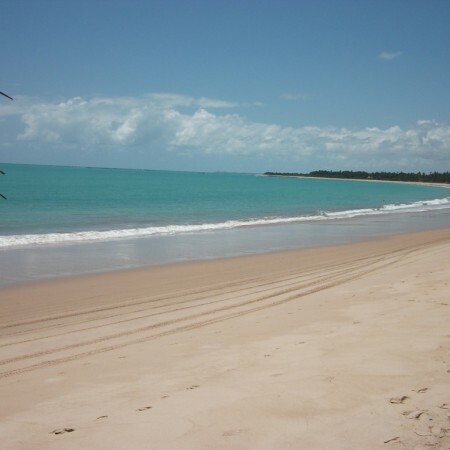 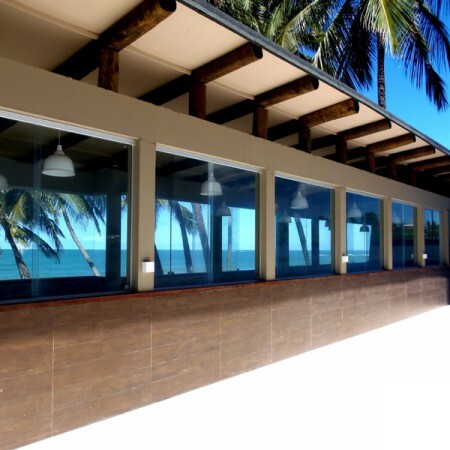 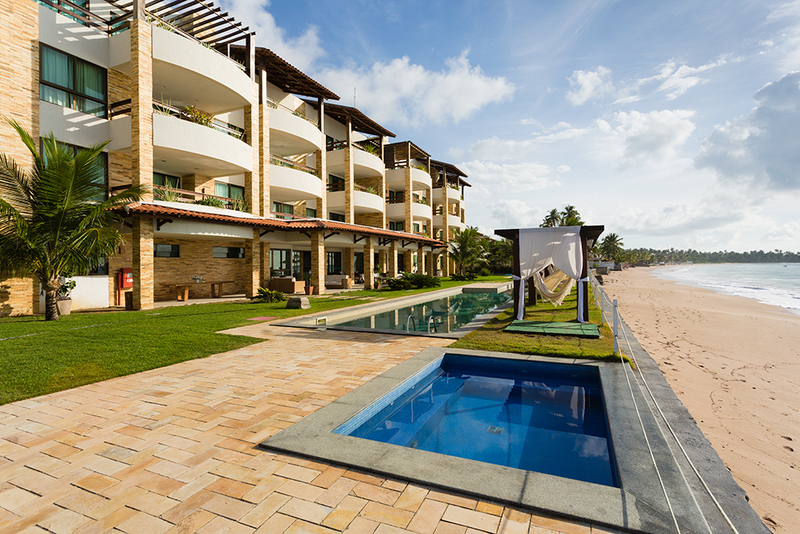 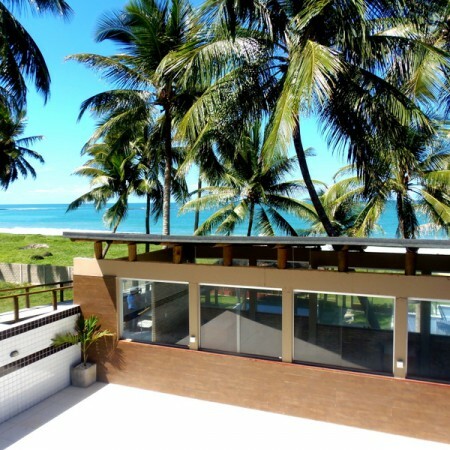 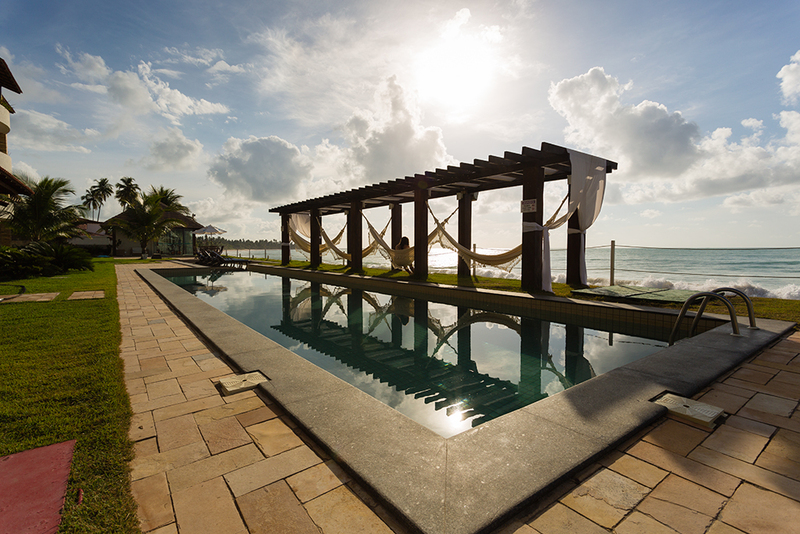 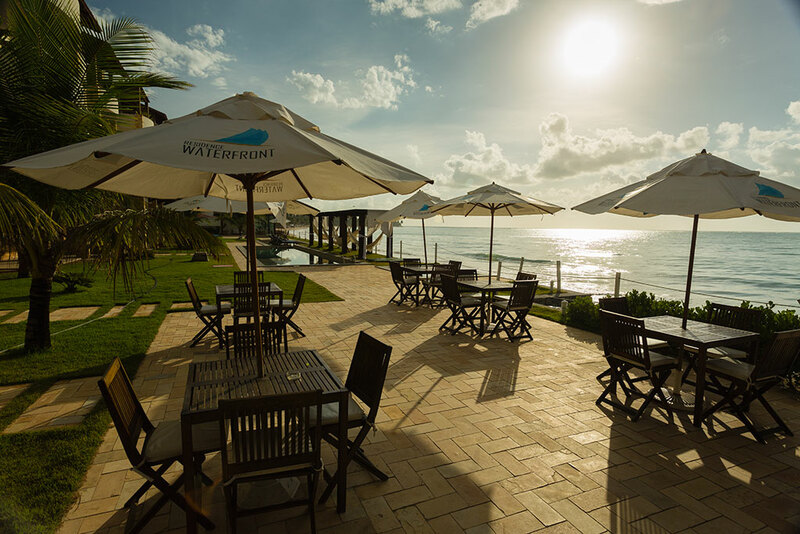 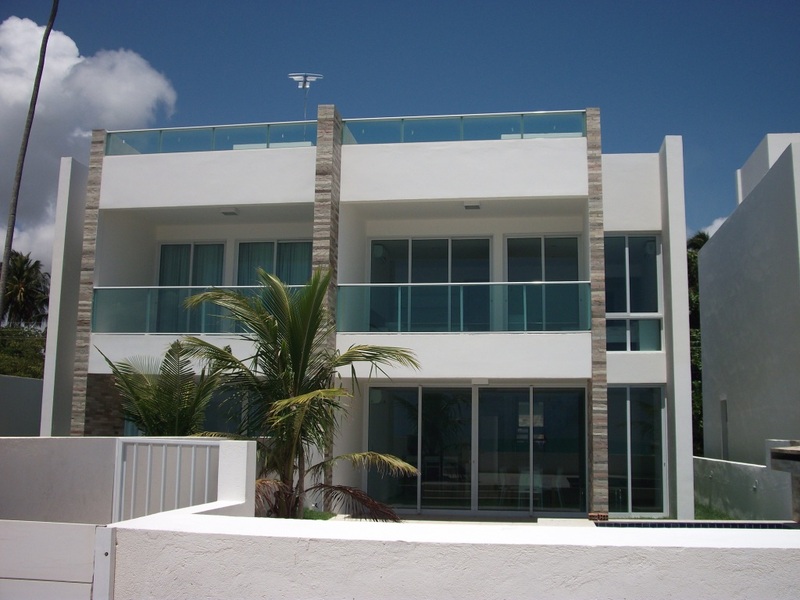 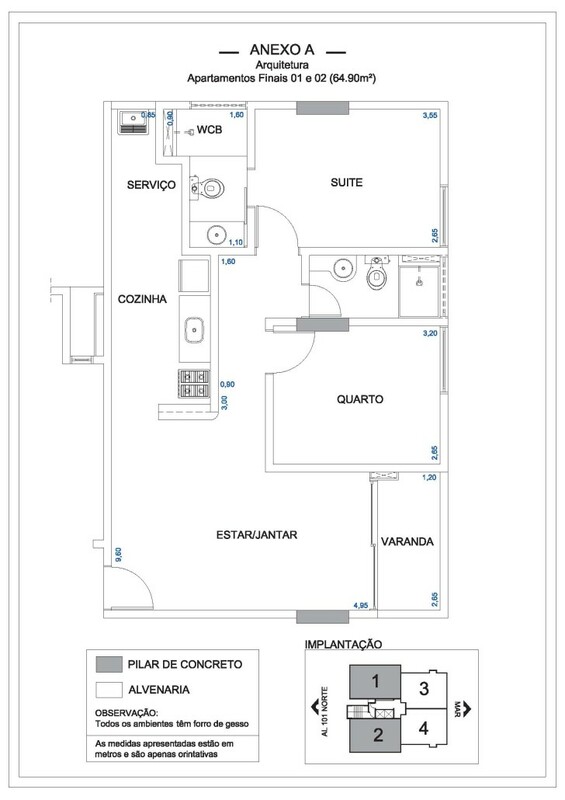 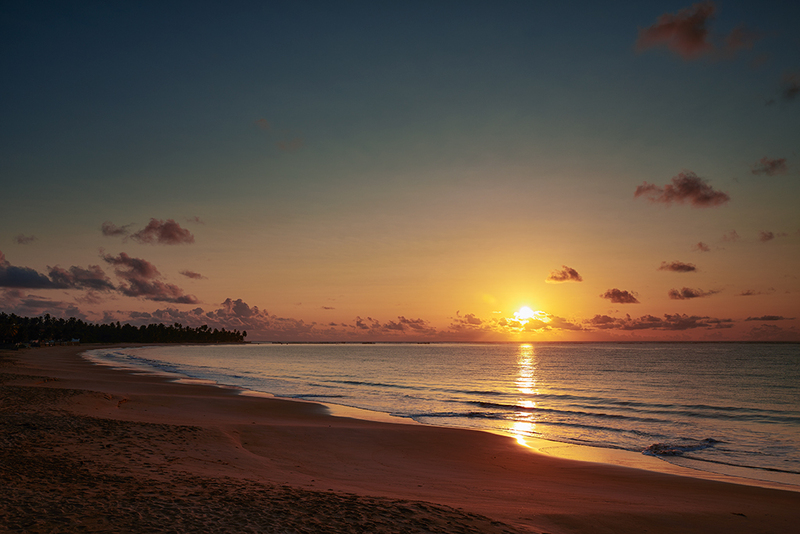 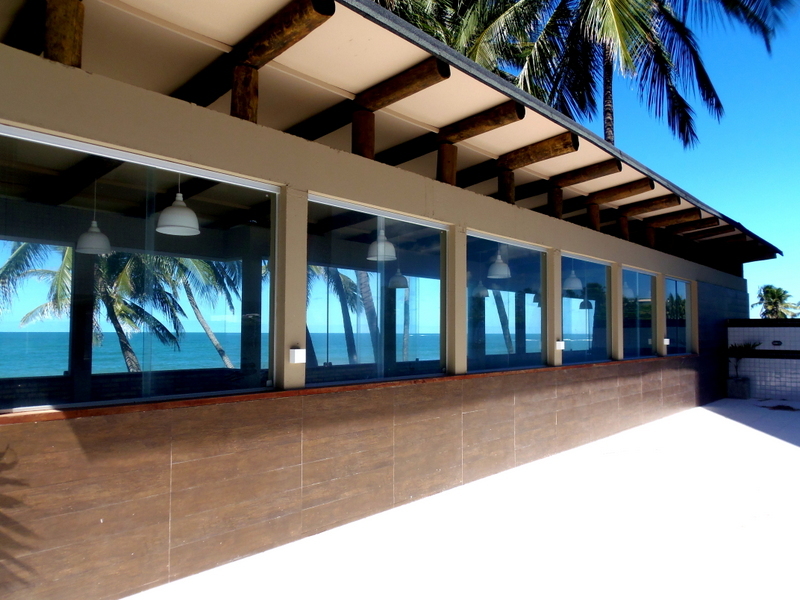 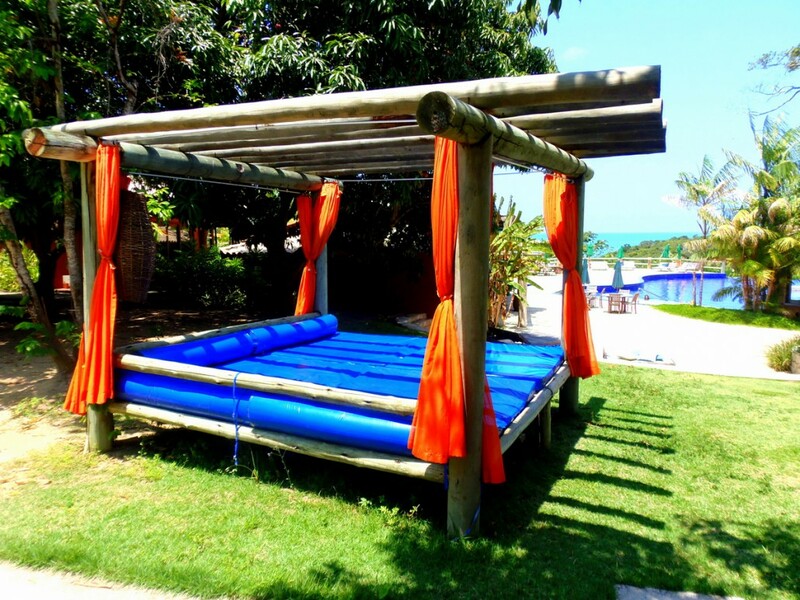 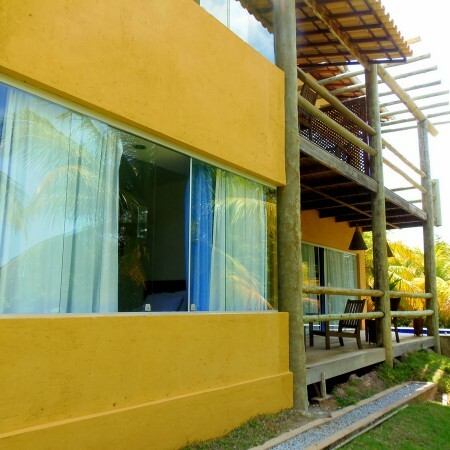 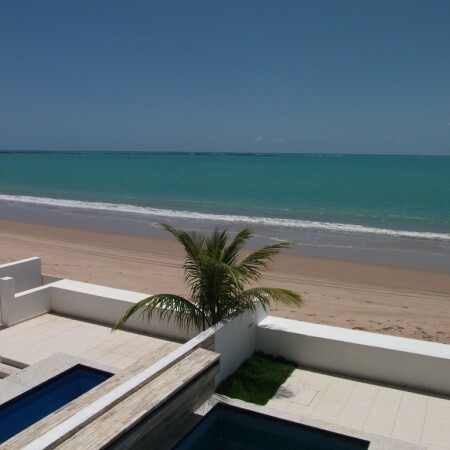 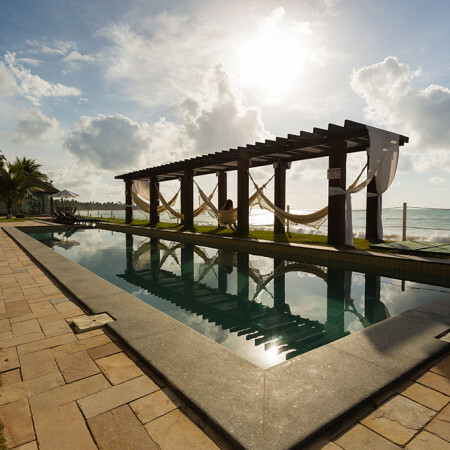 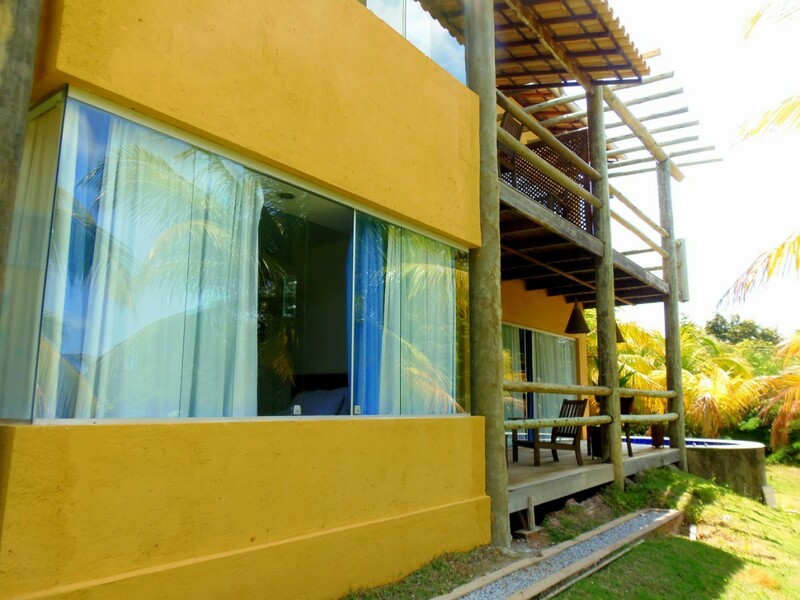 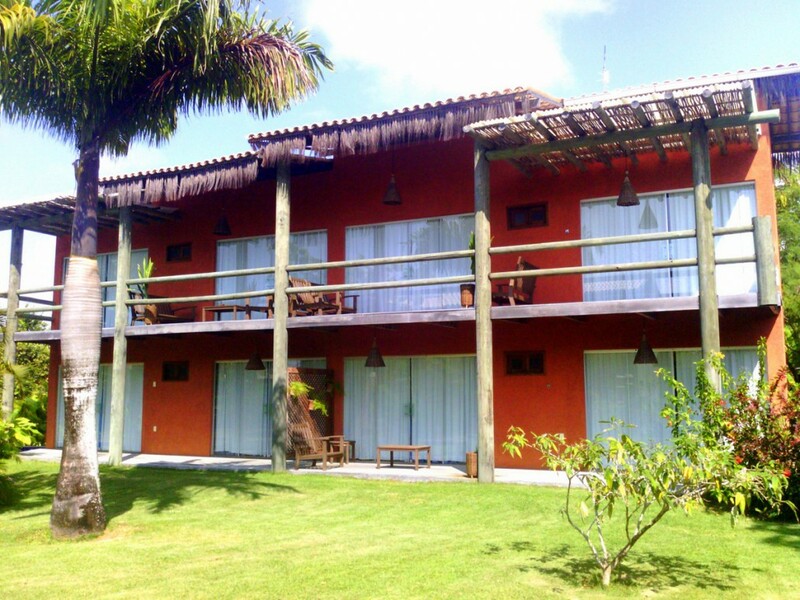 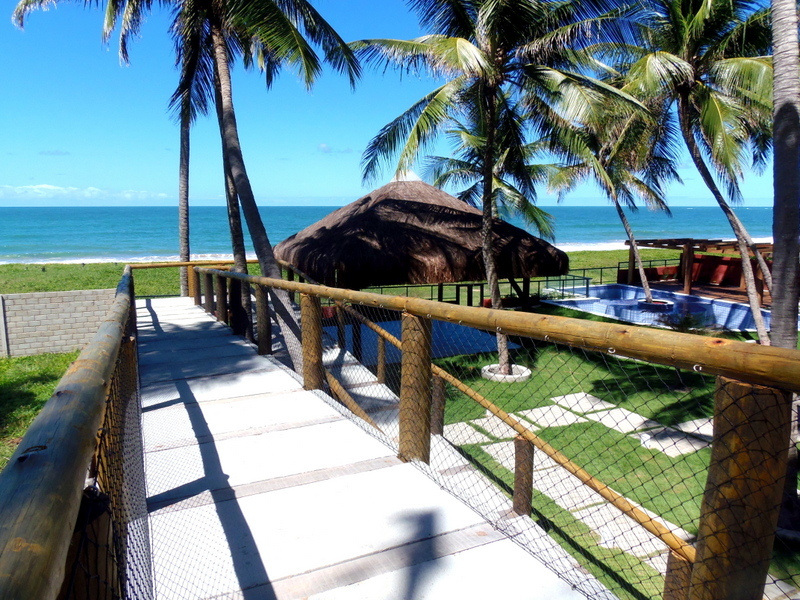 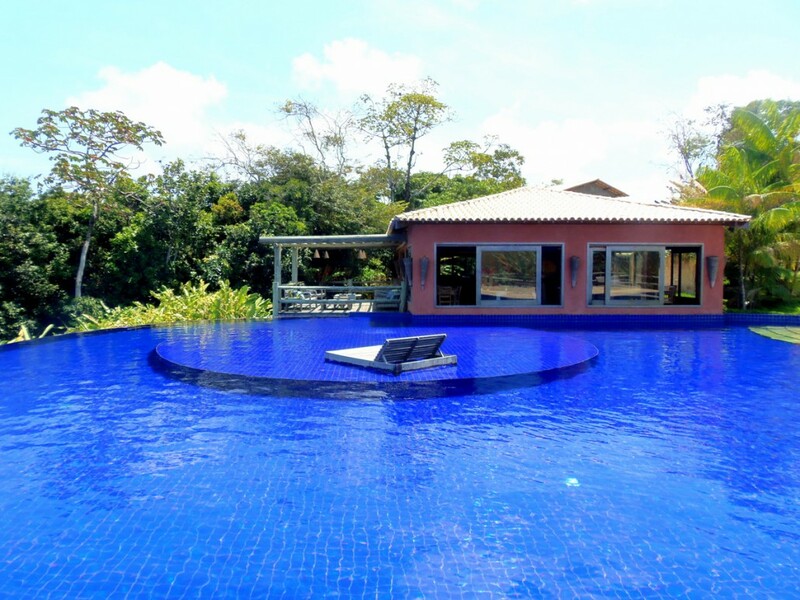 Located on the waterfront of beautiful Guaxuma beach, on the northern coast of Maceió. 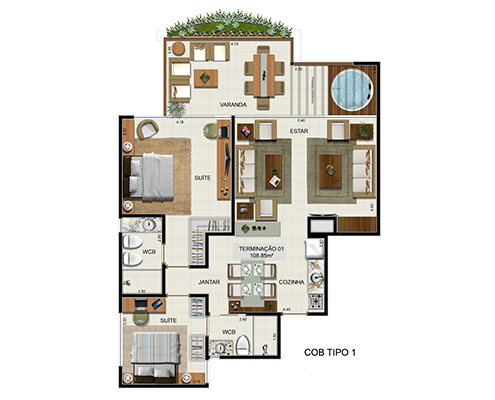 An area that is experiencing rising property values, the condominium complex is surrounded by a variety of bars, restaurants, pizzerias, shopping malls, supermarkets, and a college, offering the perfect mix of tranquility and convenience. 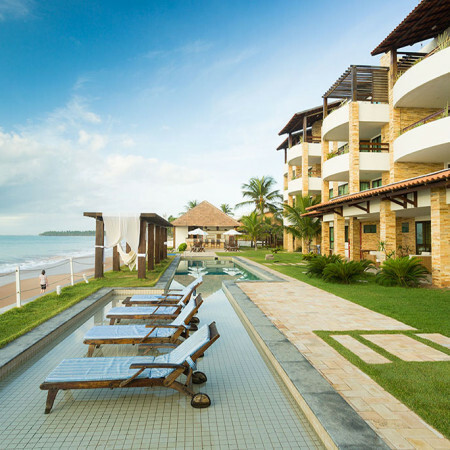 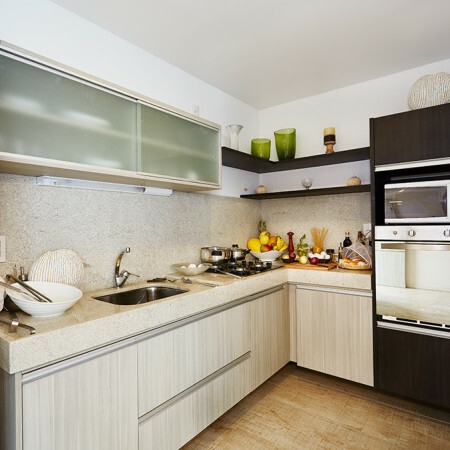 All apartments are furnished and equipped with high-quality appliances, plus a common area consisting of a playground, reception hall, swimming pool, bar, gourmet space, and a gazebo. 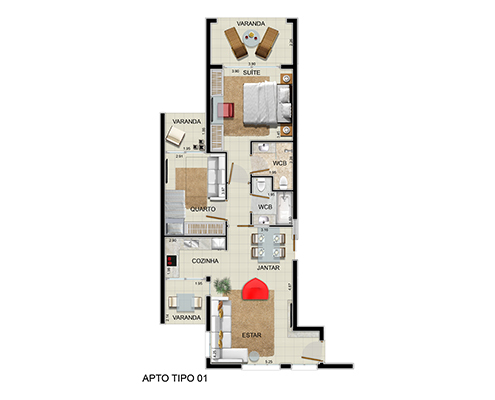 One or two bedrooms, a balcony, all fully furnished. 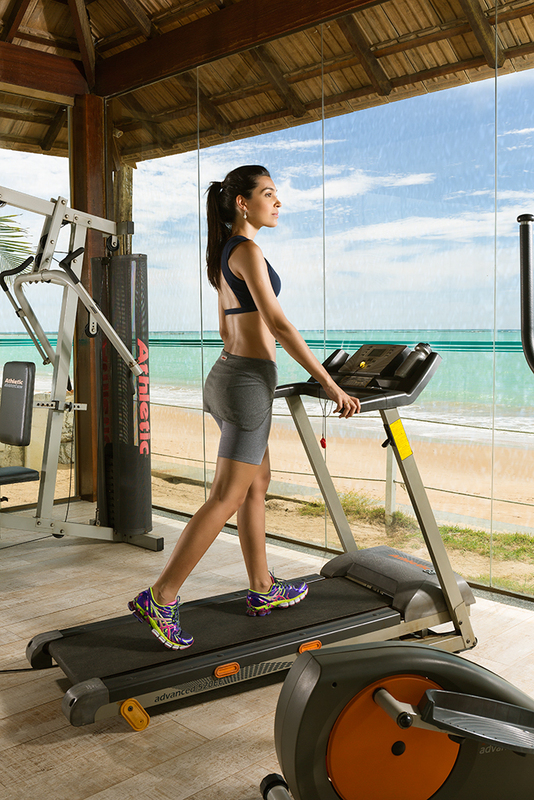 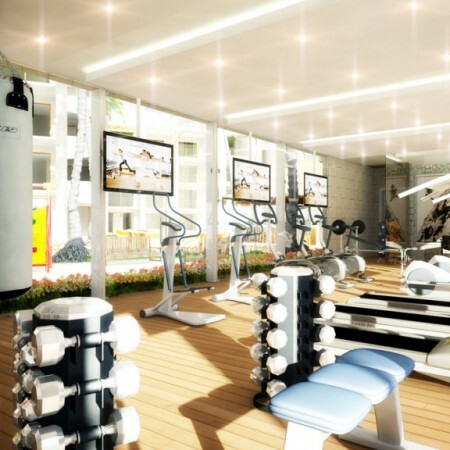 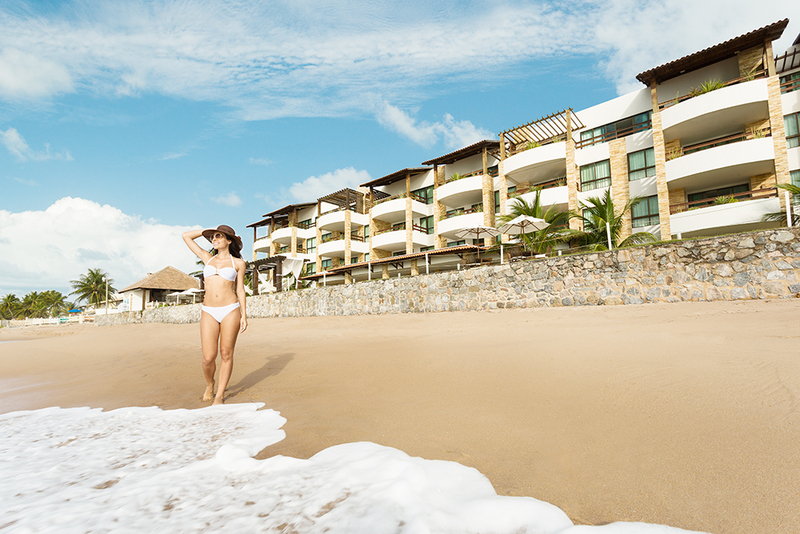 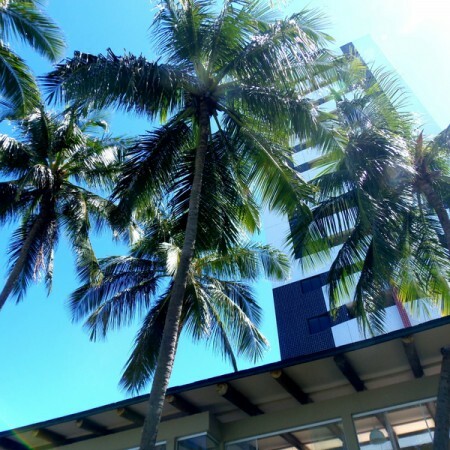 Condo-resort also offers a fitness center, restaurant, bar, front desk, and parking facilities. 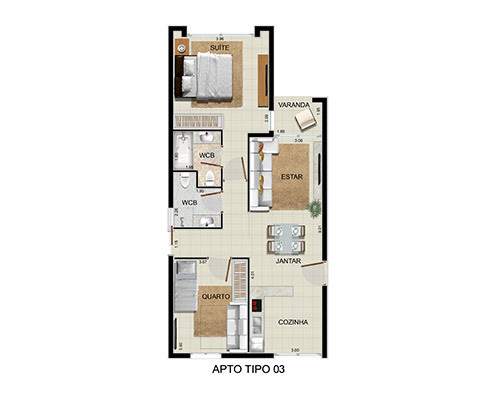 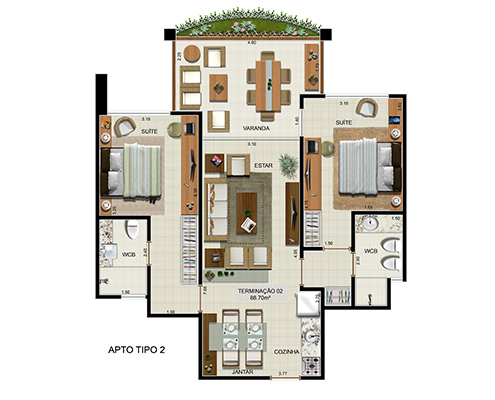 3 bedrooms with bathroom, terrace with Jacuzzi, private yard with swimming pool and carport. 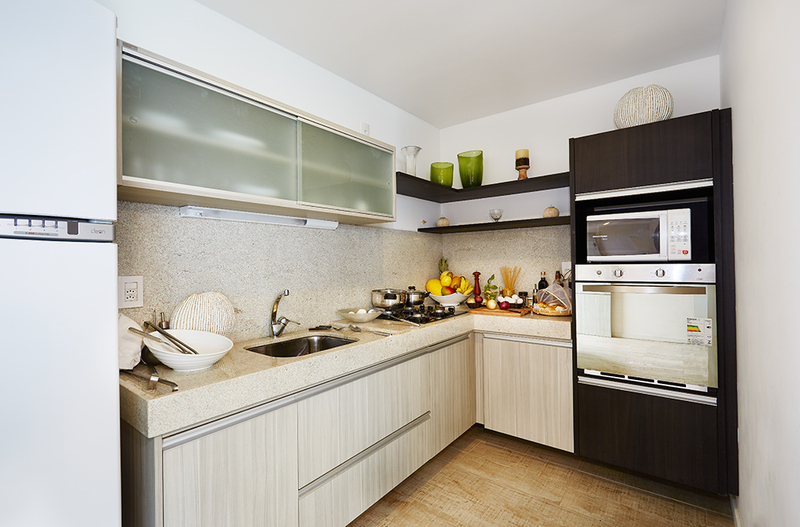 All of the homes are furnished and equipped with high-quality appliances. 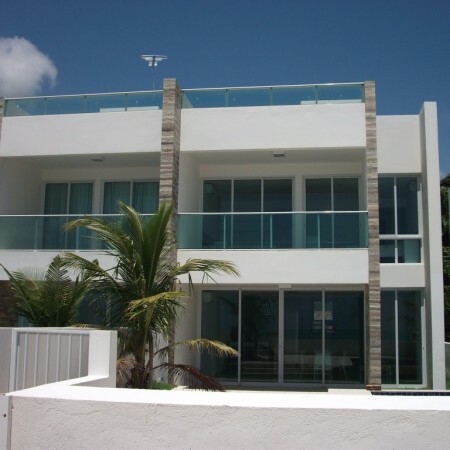 As well as 24-hour video surveillance. 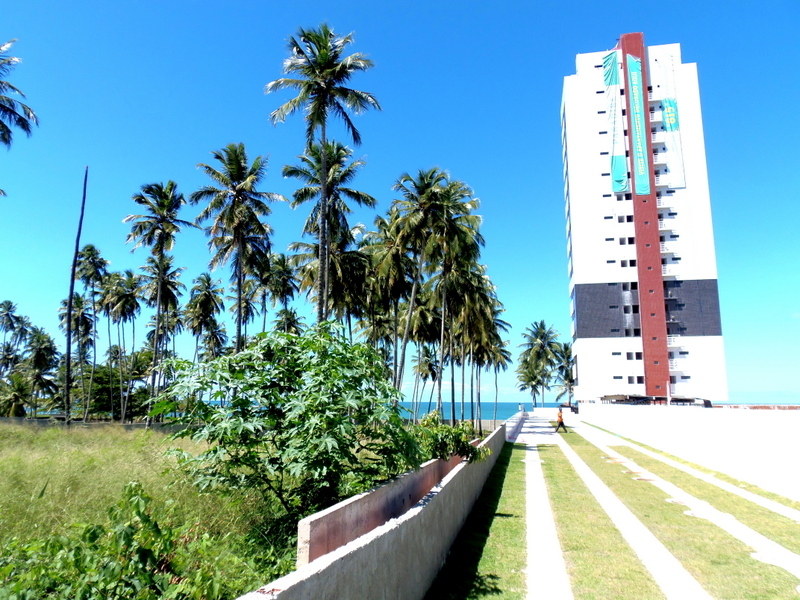 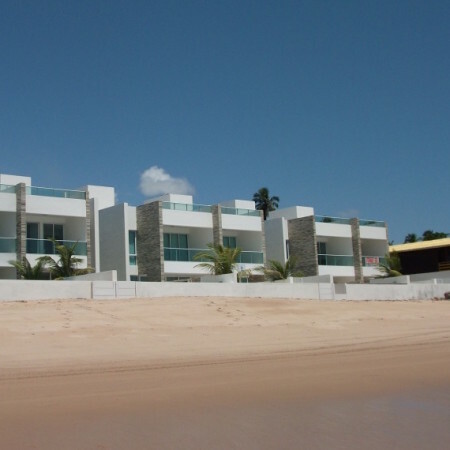 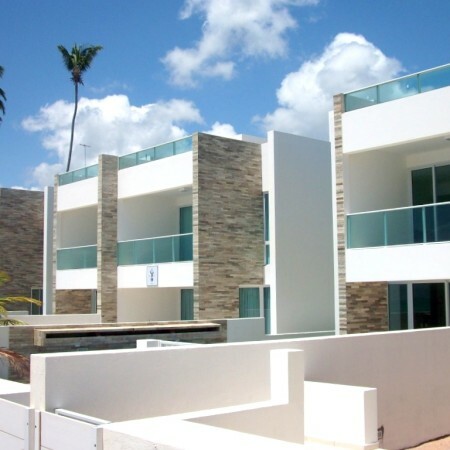 The complex is on the northern coast of Maceio.